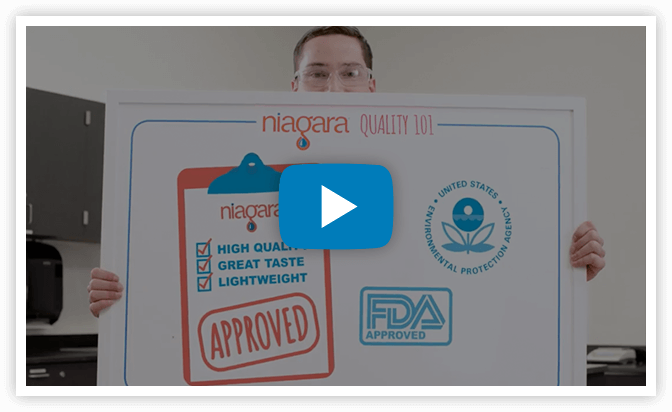 A dedicated team of Quality Assurance professionals and our Quality Control Lab ensure that every bottle of Niagara® water surpasses the most stringent quality standards. 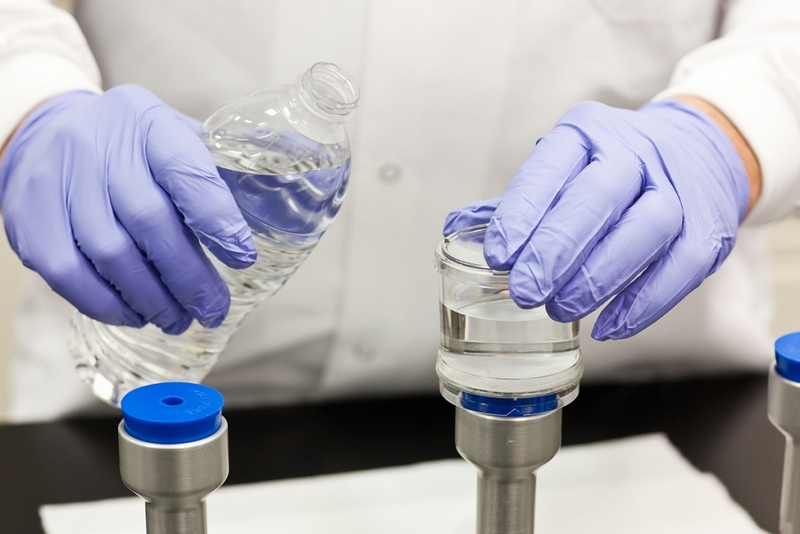 Our testing requirements surpass those set in place by the United States Food and Drug Administration (FDA) or the Environmental Protection Agency, so you know the water you’re drinking is safe and healthy for the family. To learn more about our water, please view our Water Quality Reports. * To better service our customers and minimize waste, we are currently running through existing label inventory that does not list a newly added spring site in Bloomfield, CT and will be transition in the near future to new artwork showing the addition of the spring location – Sommers, CT.
please contact our Consumer Affairs team at (877) ITS-PURE. For the Best If Used By Date, locate a stamp on your bottle just above the label.